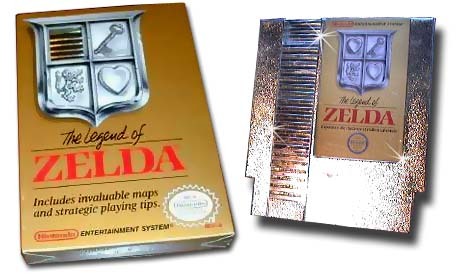 To celebrate the birth of Zelda games here in America we chose to exuberate joy and wonder abound many a tale to be told and begin none other than with the first Zelda game ever, EVER. We chose the American birth age as the weeks start date. August 22nd, 1987. Just 5 days younger than yours truly B.T. ; The Legend of Zelda is one of Nintendo’s most beloved IP(Intellectual Property), that initially came out in Japan on February 29th, 1986. In some cases or events it was available to America by July 1987 translated or un- translated prior. 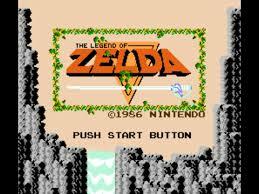 The Legend of Zelda game and its series were produced by the now legendary producer/director/creator Shigeru Miyamoto. This game was co-directed by himself and Takashi Tezuka and had its iconic sound composed by Koki Kondo. Original Nintendo of Japan was nervous for the American release and didn’t want to release it here in America. Thankfully however they decided to release it here and that’s all she wrote. 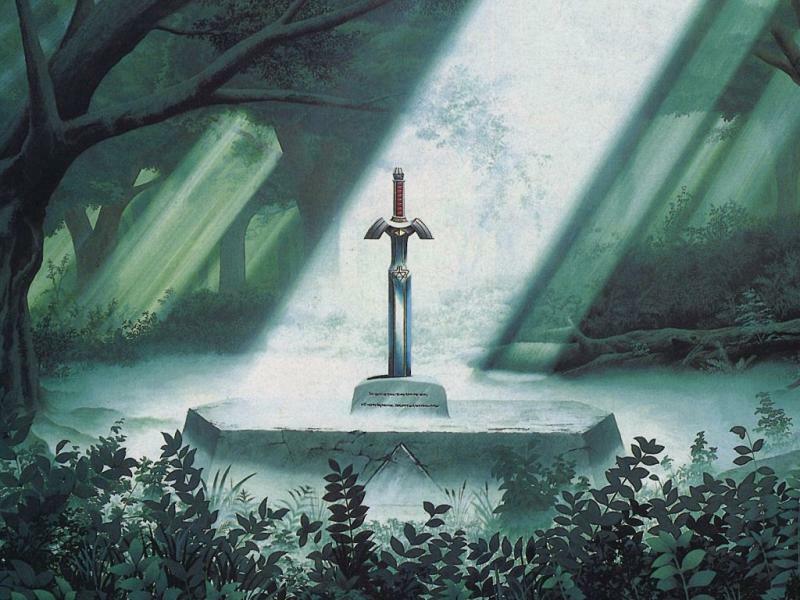 The Legend of Zelda game is a modern day myth portrayed through a now vast array of stories. Each game following this game held to the same archetypical trope. A boy/ (ambiguous hero of time) heads on a quest to save his princess and his lands from the evil forces that plague them. 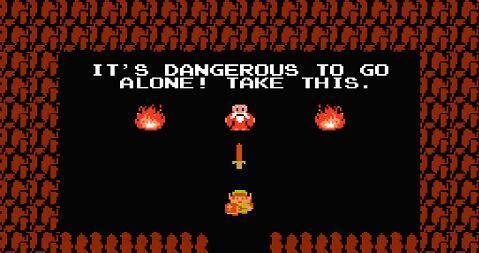 The Hero ‘Link’ is an everyman or woman’s hero that’s almost blank in many respects. 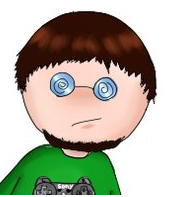 He looks almost generic in the games and dresses similar throughout the many following occurrences. Anyone could be Link, dress up like him and go on a quest to save Hyrule. His main opponent is Ganon, the prince of darkness who led his army against the small peaceful kingdom that resides in Hyrule in search of the Triforce of power, wisdom, and courage. In this Legend of Zelda game Ganon gets the Triforce piece of Power, and in an effort to save the world and give time for the Hero of Time to show up, Princess Zelda splits (yes splits) the Triforce of wisdom into eight pieces. Now I must talk about this and were not even into the game really so bear with me. The Triforce and its subsequent pieces are in essence the remaining power in the world of the three Goddesses of creation. 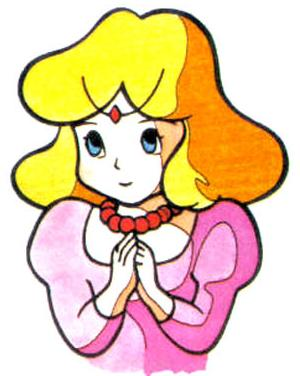 [Note: in the American release the story or any notes on the three Goddesses were removed due to the fact at the time Nintendo of America banned any references to religion in their games] While each piece grants the owner power outside the realm of a normal being when combined they grant the holder a wish or wishes. The Triforce however never tells the difference between good or evil (probably due to the fact good and evil are often based on perception) and so, the Triforce when completed grants any wish. Knowing all this it speaks greatly of Princess Zelda’s extraordinary power outside of being the holder of the Triforce piece of Wisdom. She breaks it up into eight pieces and it is the majority of this game that you go around dungeon exploring to find the 8 pieces to put it back together again (like humpty dumpty). 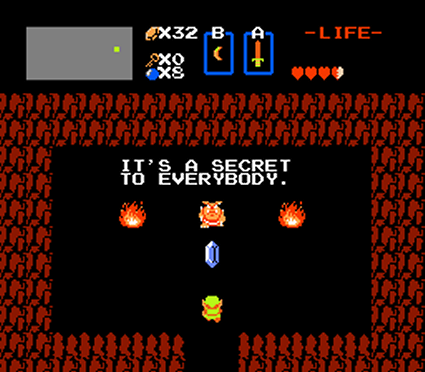 Whether or not Princess Zelda got her magical abilities while she had the Triforce Piece or if it was left over wisdom is never really stated least as far as I recall not in this game. 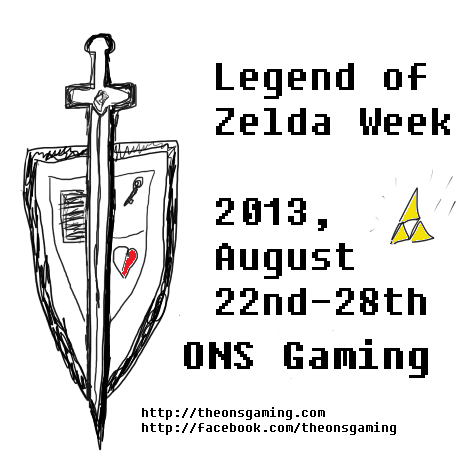 And because of this event and following events in games down the road that make me wonder if Zelda is actually the Hero of Time and not the blank every hero that is Link, but that’s a discussion for another time. The Legend of Zelda game was one of the first and certainly one of the defining Action Adventure genre game of its time or since. It and its game series that it spawned have been a staple of the genre ever since. The story and the game had RPG (Role Playing Game) elements but too few to consider it an action RPG (the likes of Super Mario RPG). This game was critical as it held both Over-World and Dungeon exploration amongst a myriad of other things that made this game worth playing and justification for turning it into a game series as opposed to a one off. This game is immersive and expansive for its time. It truly felt like you were on a quest when you inserted the game cartridge and pressed on the power button. The World map/ i.e Overworld is a combined 128 screens, it’s set up in a 16 screens by 8 screens grid. As I stated before they were worried about releasing this game as they were afraid about how open the world is and how you as the player may not know what to do and therefore become bored and so the American release had a guide of sorts that offered hints and tips. I enjoyed the games open-ended feel it certainly was different compared to contemporaries and it again led to that ‘I’m on a quest feel’ did I get lost sometimes? Yes… yes I did, but that was a part of the adventure. If the goal isn’t worth the traveling through the world and stumbling upon various secrets or dead ends then you know the goal was probably not worth the travel or quest in the first place. 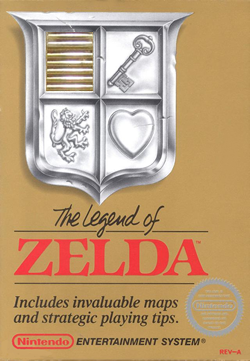 This game was the first Zelda game, and while it was not the first Zelda game for me to play, it is still important to me as thanks to this game, many great games of the series have been made and I have been able to play. Thanks to this game many great games exist in a great state that we know and enjoy them in after all innovations regardless of when they are exhibited only further the video game industry.